Let me just say this before I begin. I am NOT turning this into some type of celeb gossip, review, etc blog. However, I must say that after witnessing the artistic presentation of Lemonade performed by the astounding Beyoncé, it would be ultimately idiotic for me not to express the range of emotions I felt and received before, during, and after the experience. I have already seen that most people did not even understand what was actually being portrayed. It was not just about Jay-Z cheating on her and she stayed. The message was deeper than that. It was about the depth of love that we as women give to not only are mates but our children, our parents, our friends, our earth, everybody. We love deeply beyond our limits to where that person becomes our lifelines. We get so lost in the passion that we end up losing ourselves. We become embedded in it. Especially black women. We love the hardest but we are hated the most. Everyone wants a part of us and to be just like us but when its time to give us love and support and fight the battles we fight then we’re left alone and cursed upon. We give all that we have, even if it’s not much, and the people that we give our everything to turn around and cause us so much pain. We never understand why someone who we would give our lives for could also be the person who would destroy our lives. We get so caught up and end up losing ourselves. It becomes a generational curse constantly rotating to the next group to the next group to the next group and you just wonder when will the cycle end. Now I’m not saying that Mr. Carter didn’t cheat. That was just the outer layer….the marketing….something to get you to listen and watch. This purpose of the visual documentation was to show the hell, tears, emotion and trials that we go through and the growth you encounter once overcoming. We are the women who have had our own children taken from us and forced to care for someone else’s child. We are the women who our men were taught to hate us, leave us, beat us but when we try to stand up are told to shut up. We are the women that society has brainwashed to believe that we only deserve disrespect and to be treated as JUST sexual objects. We are the women that when we try to raise awareness about how we our treated are told that we should just “get over it” or “stop nagging”. It’s constant rejection, use, and abuse. This production took you through the entire journey. The denial you feel from the start when you negotiate with yourself. Asking questions like “this can’t be happening to me?” or “am I over-reacting?”. Then you talk yourself into believing the lies. You try to transform and become something you’re not just to please others. We try to keep quiet until those rose colored glasses come off and reality hits. You begin to realize how much of yourself you’ve lost. Once you see the truth you became angry, filled with hate. Where the only way you think the oppressor will understand is if you hurt them as much if not more than they hurt you. So then instead of taking time to heal, you rebel. Now the rebellion part can be fun and benefiting at times because in your wild moments you still become more focused on your work and your independency but your emotions become numb. The numbness can sometimes cause a backslide to the thing or person that was hurting you. You fall into depression so you don’t backslide just once, it happens over and over and over again and you can’t seem to understand why you keep going back. So you have to reflect on the lessons and hurt from your past that has conditioned you to continue to accept such agony. You get to the root of the problem to reconcile and allow the wombs from the constant hurt to be mended. That is when you can finally take accountability for the things that you have allowed to happen to you and why. Then you will be able to see the other’s point of view. You can finally forgive them and yourself. Once you forgive you learn to accept yourself for who you are. Your growth is your redemption. Once you finally have your freedom and have reached the ultimate level of love and peace, you become unstoppable. You’ve taken the lemons that your life has given you and mixed some of the best, bomb, snatched, tasty, scrumptous, quenching #LEMONADE that’s ever been created. It spoke so much to me because that is exactly what I am doing with this blog. Sometimes you have to get UGLY. Sometimes to have to be unapologetic (#IAintSorry). Sometimes you have to remind people who the f$!k you are. Sometimes you have to forgive. Most importantly, you must never forget to Love Yourself!!!!!!! Black women you are loved and we do not have to stay quiet any longer. We can break the chains!!!!! DRINK UP!!!!!! 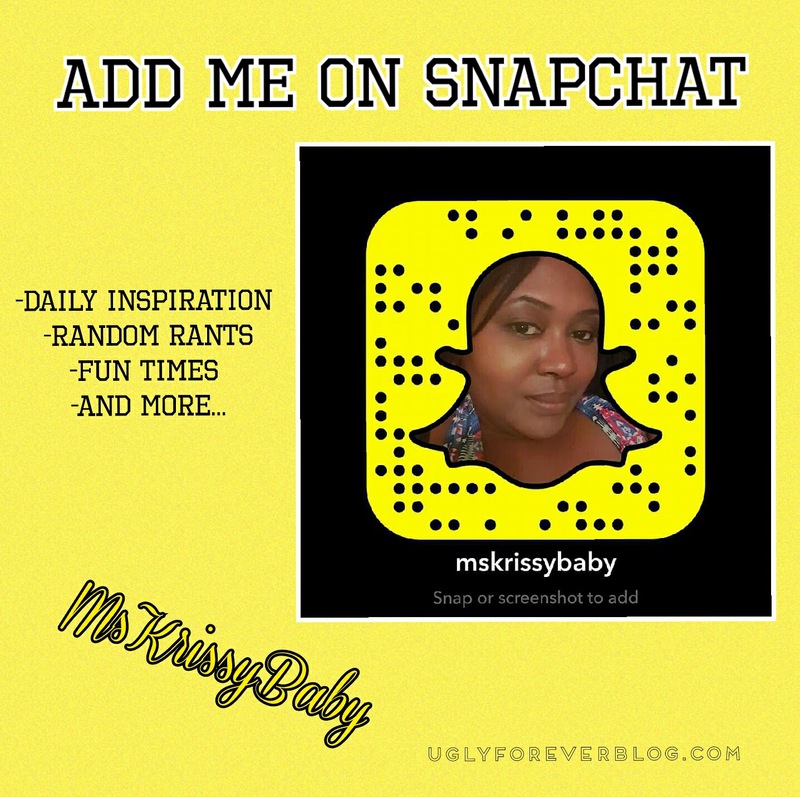 Posted in Feel It Fridays - Random Posts.Tagged Art, Aspirations, Beauty, Beyonce, JayZ, Krissy G, Lemonade, Love Yourself, Motivational, Mr Carter, Mrs Carter, Music, Poetry, Self Esteem, Self Love, Tidal, UGLYForever. Previous Post What are you getting out of your Relationship? Next Post YOU DESERVE IT!!!!!!! !